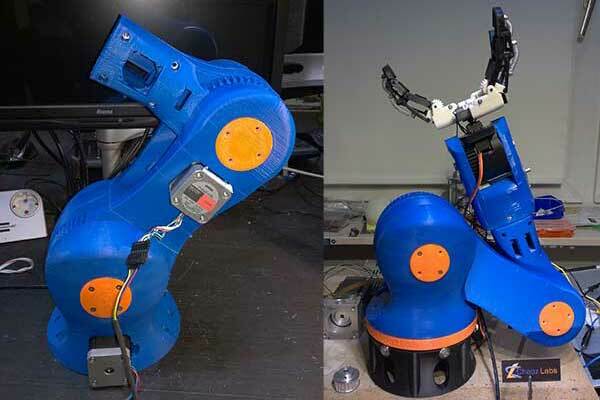 Unlike the traditional industrial process which requires a long production line and lengthy sequence of steps, creating a 3D printed robot is much easier and can be done at home if you have a 3D printer in hand. Similar to many fields, the 3D printing industry enabled many designers and engineers to turn their ideas into real workable models with a significant reduction in costs. While there are different 3D printing technologies, 3D printers that depend on fused deposition modeling technology with a plastic-based filament can be affordable at lower costs. The designer requires 3D printing software which lets he or she create a 3D model and send this to the 3D printer in the STL or OBJ format. The desktop 3D printer starts to build the model from thin layers of the loaded filament. This simple process helped many designers to give form to his or her conceptualization by simply printing a prototype. Examples of these ideas range from 3D printed prosthetics, shoes, toys and even car designs. 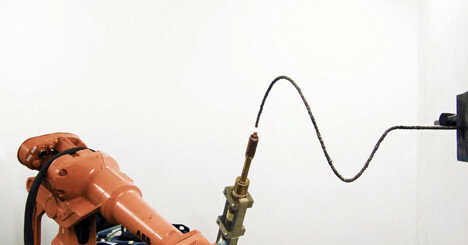 One of the latest interesting projects is 3D printed robot created by Andreas Hölldorfer. 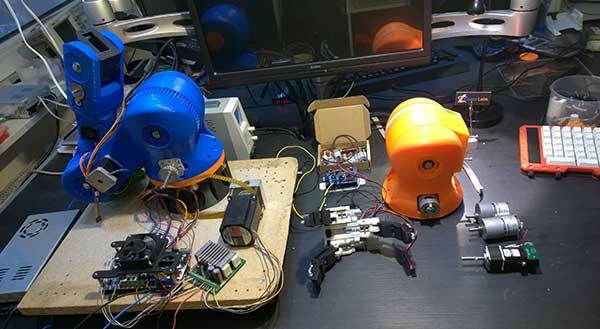 In this project, Andreas created a robotic arm that can be built at home and works by using motors to achieve tasks such as holding things and other specific actions. The project is useful especially for people with disabilities to help them do home activities by simple pressing couple of buttons. In addition to the above videos, you can view the work process in parts by visiting Andreas’ YouTube page. Andreas’ project provides an example of using the 3D printing technology in order to build DIY products that were difficult to create without resorting to traditional industrial production lines and processes. His videos provide a workflow that can be used to create other products using the same technology.